Lara Gureje-Oderinde is the Chief Executive Director of Jewels of Africa Foundations (Africa Chapter). She was born and raised in Nigeria. She attended public elementary and High school in Nigeria before travelling to the United Kingdom for her Undergraduate and Post Graduate studies. Lara is a renowned Data and Regulatory Risk expert in the Financial Industry. She is currently the Vice President for Data Analytics, Data Governance and Business Intelligence at Bank of the West/BNP Paribas Group. Prince Deji Haastrup serves as an Executive Director of Jewels of Africa Foundations (Africa Chapter). He recently retired as the General Manager for Policy, Government and Public Affairs at Chevron Nigeria, a subsidiary of Chevron Corporation, USA. In his private life and career, he is committed to the youth and under-served in society. Over the years, his company has supported many educational and health programs, especially in rural communities. He was himself recently recognized by the Sigma Club of Ibadan University for his numerous “contribution to personal, corporate and institutional philanthropy…” Jewels of Africa Foundations is another avenue through which he seeks to further human development. 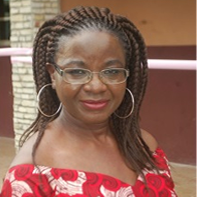 Kemi Mackenzie-Gureje serves as an Executive Director of Jewels of Africa Foundations (Africa Chapter). She was born and raised in Nigeria by parents who instilled the value of education into her, early in life. She received a Bachelor of Science from the University of Ife in Nigeria before emigrating to the United Kingdom three decades, ago. She is eternally grateful, foremost to God and to her parents for equipping her with high quality education that has opened doors for her in a foreign country. Kemi has an inconcealable and infectious passion for education. She testifies to the power and benefit of education as her defence through the dark moments of her life. Adeola Bode-Odeyemi, a budding serial entrepreneur, author and a preacher of the Kingdom committed to the building of God's people. 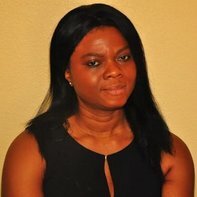 Shola Oderinde serves as an Executive Director of Jewels of Africa Foundations (Africa Chapter). He is a Software Architect in the Silicon Valley area of California (USA). Shola was born in the United Kingdom but raised in Nigeria. 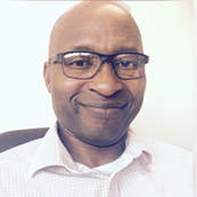 Having been a direct beneficiary of community mentoring in his early years growing up in Nigeria, Shola feels it is a natural calling for him to reciprocate the same mentoring and guidance that he once received growing up in Nigeria. ​Shola is passionate about going back to his root to give back to the underprivileged youths. As a change agent, Shola has an unyielding passion to empower youth through education. 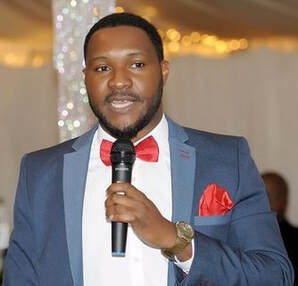 Additionally, he is involved in various community programs for youth empowerment and big brother mentor-mentee programs within his local church. Tunde Adeoye came on board as a result of his sympathy toward the economically disadvantaged, imaginative in creating scenarios for social change and commitment to community development. He had an 18 - year stint banking career before fully joining the family business. He had his first degree in Management from University of Sunderland, UK, MBA from LAUTECH and just completed a Masters Degree in Sustainable Development from University of Ibadan. 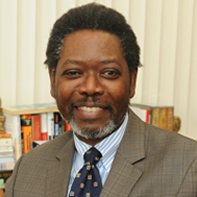 His research on rural finance and entrepreneurship has taken him to rural areas in Nigeria and Ghana. ​Samuel Bode-Odeyemi, is a Technology Architect & Business Transformation Specialist, a serial Entrepreneur, he is a Co-founder of Off-Plan Nigeria Limited a property development company in Nigeria & MTC Limited, an Information Technology company in the UK.